#Fukushima I Nuke Plant: Asahi's Report on "Fukushima 50"
Asahi Shinbun (9:00AM JST 4/10/2011) has a special report on the "Fukushima 50". "How many are you going to send? Show us your resolve." Right after the earthquake, in the conference room of a group company of Hitachi, nuclear reactor manufacturer. A manager in charge of the division that does the work at Fukushima I Nuclear Power Plant demanded from the employee in the technical management division. Instead of issuing orders and direction from a distance, they [technical management division] should be joining him and his people at the plant and face the challenge together. After a heated exchange, many employees with technical background went to the plant. The middle managers of the company reflected on this decision as "a grave decision", as the work would put the employees life on the line. A 40-year-old man who went to work at the plant from one of TEPCO's affiliate company confided, "I didn't want to go but if I declined [the company] wouldn't get future jobs [from TEPCO]." His daily wage was ten thousand yen plus a few thousand yen [more than 10,000, probably less than 15,000]. "I heard that there were workers who were hired for several tens of thousands of yen per hour for construction work [or from the construction industry, not clear]. But since my company is TEPCO's regular affiliate, we only receive our normal daily wage." On the other hand, many of his colleagues volunteered, thinking they would be the only ones [who could solve the problems at the plant]. "There was a strong sense of solidarity," the man said. At one company who is a subcontractor [doesn't say at which level], older managing directors and the president of the company volunteered, saying "We can do the simple tasks like laying cables." It was their decision to shield their younger workers [from potential harm from radiation]. In Fukushima II Nuclear Power Plant, which has been relatively stable compared to Fukushima I, we hear that even a young woman who was hired right after graduating from high school works the night shift [or works and sleeps at the plant]. made in 1993 by Power Reactor and Nuclear Fuel Development Corporation (now reorganized into Japan Atomic Energy Agency, a government corporation). "Puruto-Kun" had a sister (I don't know if he still has one), and her name was "Natoriumu-ko Chan" (sodium is referred as natrium in Japan) - personifying the sodium cooling system at the high breeder reactor Monju. #Fukushima I Nuke Plant Accident May Be INES "Level 6"
Says Yomiuri Shinbun on April 10, while Asahi Shinbun said the same thing on March 25. It's a news to Yomiuri readers, old news to Asahi readers. Expect an announcement from Nuclear and Industrial Safety Agency to follow this Yomiuri discovery soon. The International Nuclear and Radiological Event Scale (INES) defines the severity of nuclear accidents. A Level 6 accident is a "Serious Accident". The Chernobyl accident is the only Level 7 (Major Accident) accident so far, and the Three Mile Island accident is a Level 5 accident. On March 18, METI's Nuclear and Industrial Safety Agency announced its preliminary assessment that the Fukusima I Nuke Plant accident may be a Level 5 (Accident with Wider Consequences) accident, instead of Level 4 (Accident with Local Consequences) as the Agency had initially indicated. Both Yomiuri and Asahi's news source was the Nuclear Safety Commission (which has, by the way, gone very very quiet). Yomiuri says (taking the lower estimate) 30,000 terabecquerels mean "Level 6", defined as "few thousands to tens of thousands" of terabecquerels of radioactive iodine. Asahi says that "the discharge of radioactive iodine at the Chernobyl accident was said to be about 1.8 million terabecquerels"
Asahi's article also points out that there are locations that have the high soil contamination as Chernobyl. Meanwhile, calculations of soil contamination by experts have already produced results that are at the same level as for Chernobyl. Cesium-137 levels of 163,000 becquerels per kilogram of soil was detected in Iitate, Fukushima Prefecture, about 40 kilometers northwest of the Fukushima plant, on March 20. That was the highest figure in the prefecture. According to Tetsuji Imanaka, an associate professor of nuclear engineering at the Kyoto University Research Reactor Institute, if the Iitate figure was converted to one square meter, the figure would be 3.26 million becquerels. After the Chernobyl accident, residents who lived in regions with cesium levels of 550,000 becquerels ore more per square meter were forcibly moved elsewhere. "Iitate has reached a contamination level in which evacuation is necessary," Imanaka said. "Radiation is still being released from the Fukushima plant. The areas of high contamination can be considered to be on par with Chernobyl." Already, foreign institutions have been saying that the Fukushima I Nuke Plant accident may be or may become Level 7 (here and here). And this Russian engineer predicts Fukushima will surpass Chernobyl, and INES needs a new scale. Oh I forgot. That's "fear-mongering". "O.P" designation in both refers to "Onahama Peil" (local datum), which is "0.727 meter (2.39 feet) lower" than Tokyo Peil (T.P. ), which is "Tokyo Bay mean sea level". Ever since the earthquake/tsunami/Fukushima I nuke plant accident on March 11, an increasing number of people have started to come to my blog. Many have commented on the posts, offering insights, links, criticisms, corrections, encouragements. However, an increased traffic has also brought "spams" recently, which, unlike the other comments I receive, don't seem to be based on facts or reality and which Google has already, automatically categorized as "spam". These new "spams" are not selling anti-virus software, trip to India, or cruise lines, but they seem to promote the idea that I'm lying to suit my agenda. What agenda I haven't a clue. (That I am against the Fed? LOL) So Google must have a good reason to categorize these messages as gibberish and as spam. I wouldn't have even known these comments had been received if I hadn't happened to click on the "spam" tab by accident. I continue to welcome all your comments from the fact-based, reality-based world, but I will let Google continue to do its work of identifying the "spams" and keeping "spams" under the "spam"tab. So it's not just radioactive iodine and cesium that the West Coast of the US is getting. Cars, whole houses, plastic toys, timber and tyres, fishing nets, even feet with sneakers on, will all be reaching the US West Coast in 3 years' time. But even more grisly are the predictions of U.S. oceanographer Curtis Ebbesmeyer, who is expecting human feet, still in their shoes, to wash up on the West Coast within three years. 'I'm expecting parts of houses, whole boats and feet in sneakers to wash up,' Mr Ebbesmeyer, a Seattle oceanographer who has spent decades tracking flotsam, told MailOnline. Several thousand bodies were washed out to sea following the disaster and while most of the limbs will come apart and break down in the water, feet encased in shoes will float, Mr Ebbesmeyer said. 'I'm expecting the unexpected,' he added. Members of the U.S. Navy's 7th fleet, who spotted the extraordinary floating rubbish, say they have never seen anything like it and are warning the debris now poses a threat to shipping traffic. Reports Yomiuri Shinbun, but it had to hide it under its Health and Medical News section, and never on the front page of the website. Unless you happen on the page from other links (like I did), you would never know that such an article is buried there. Under the guidance from the government, Yomiuri editors do not want to alarm people, do they? The cumulative radiation level data being compiled by the Ministry of Education and Science in the 20 to 60-kilometer radius from TEPCO's Fukushima I Nuclear Power plant shows that the cumulative radiation for 13 days ending on April 5 exceeded 5,000 micro-sievert [or 5 milli-sievert] in 3 locations OUTSIDE the "stay indoors" zone [of between 20 and 30-kilometer radius]. If you stand outdoors for 13 days at these locations, you would receive 5 times the maximum allowed amount of 1,000 micro-sievert [or 1 milli-sievert] other than the natural radiation and the medical treatment. The largest cumulative radiation was recorded in Akogi in Namie-machi (town), which is located about 30 kilometers northwest of the nuclear plant, at 11,630 micro-sievert [or 11.63 milli-sievert]. That's only for 13 days, from March 24 to April 5. Fukushima I Nuke Plant's Reactor 1 building blew up on March 11, the Reactor 3 building on March 14, the Reactor 4 building on March 15 (though they called it a "fire" with an explosive noise), and Reactor 2's Suppression Pool on March 15. But alas, the SPEEDI system of the Ministry of Education and Science didn't work for the crucial 1st week of the accident, because their monitoring stations didn't work. Why had no one come for him? Nobody knows. And the man is glad to see the AP reporters and offers to pay for whatever food that they may have. MINAMI SOMA, Japan (AP) — The farmhouse sits at the end of a mud-caked, one-lane road strewn with toppled trees, the decaying carcasses of dead pigs and large debris deposited by the March 11 tsunami. Stranded alone inside the unheated, dark home is 75-year-old Kunio Shiga. He cannot walk very far and doesn't know what happened to his wife. His neighbors have all left because the area is 12 miles (20 kilometers) from the crippled Fukushima Dai-ichi nuclear plant — just within the zone where authorities have told everyone to get out because of concerns about leaking radiation. No rescuer ever came for him. EDITOR'S NOTE: Tokyo News Editor Eric Talmadge, along with photographers David Guttenfelder and Hiro Komae, were reporting from the evacuation zone of Fukushima Prefecture in northeastern Japan. "Do you have any food?" he asked. "I will pay you." Shiga gratefully accepted the one-liter bottle of water and sack of 15-20 energy bars given to him by the AP, which later notified local police of his situation. He said he has been running out of supplies and was unable to cook his rice for lack of electricity and running water. His traditional, two-story house is intact, although it is a mess of fallen objects, including a toppled Buddhist shrine. Temperatures at night in the region have been cold, but above freezing. The Odaka neighborhood where he lives is a ghost town. Neighboring fields are still inundated from the tsunami. The smell of the sea is everywhere. The only noise comes from the pigs foraging for food. Local police acknowledged they have not been able to check many neighborhoods because of radiation concerns. As radiation from the Fukushima nuclear plant has fallen in recent days, however, the police have fanned out inside the evacuation zone to cover more areas. On Friday, they were busy searching for bodies two miles (three kilometers) from Shiga's farmhouse. Hundreds of police, many mobilized from Tokyo and wearing white radiation suits, pulled four bodies in an hour from one small area in Minami Soma. They had found only five bodies the previous day. The AP crew, which had been watching the police search, later broke away to see if it could find any residents living inside the evacuation zone. Some construction workers directed them to a part of town where some houses were intact. The farmhouse where Shiga's family has grown vegetables for generations is at the end of a long mud- and rubble-covered road blocked by fallen trees and dead and decaying animals. The journalists spotted the relatively undamaged house about 500 meters (yards) away. Unable to drive on the road because of the debris, they navigated the rest of the way on foot, sometimes crawling over large branches. Shiga was seen wandering in front of his house but went inside. The journalists went to greet him. He said he spent his lonely days since the disaster sitting in bed in his dark home and listening to a battery-powered radio. A scruffy beard covered his face. "The tsunami came right up to my doorstep," he said. "I don't know what happened to my wife. She was here, but now she's gone." Shiga said he was aware of the evacuation order but could do nothing about it, since he is barely able to walk past the front gate of his house. His car is stuck in mud and won't start. The AP journalists asked Shiga for permission to tell the authorities about him. He agreed, and they went to a police station to tell them about the stranded farmer. The police said they would check on him as soon as they could. Even if authorities can make it to him, Shiga said he might rather stay. "I'm old and I don't know if I could leave here. Who would take care of me?" he said, staring blankly through his sliding glass doors at the mess in his yard. "I don't want to go anywhere. But I don't have water and I'm running out of food." Nuclear and Industrial Safety Agency has said in the press conference at 7:00PM on April 8 that it may have been a faulty measurement. So, right after the April 7 aftershock, it measured 100 sievert/hour. The radiation level of the dry well of the Reactor 1 Container Vessel has been rather high, and fluctuating, indicating that the reactor is far from stable. I will let you know if I hear more squeak from NISA. Luckily the external power has been restored to these "safe" nuclear power plants in Tohoku after the strong aftershock on April 7. However, Asahi Shinbun reports that the emergency backup power hardly worked in two of the nuclear power plants, and there is no plan to do anything about it anytime soon. There are 3 emergency diesel power generators at the plant, but 2 of them are in maintenance and cannot be used, and weren't used during the power outage. The remaining 1 diesel generator was used to cool the Spent Fuel Pool even after the external power was restored at about 3:30AM on April 8. However, the fuel was found leaking from the generator so it had to be shut down at 2:00PM on April 8. There is no plan to replace or add diesel generators. In the Reactor 1, 1 of the 2 emergency diesel power generators had been broken since April 1. During the power outage, the plant operated on 1 external power, and 1 diesel power generator. For both plants, Tohoku Electric Power Company has no plan to do anything about the emergency diesel power generators. If the external power goes down again for any reason, Tohoku Electric says the power generating vehicles at the plant, which were sent to the plant after the Fukushima I Nuke Plant accident, would be sufficient to do the minimum cooling. So Tohoku Electric may be just as "good" as TEPCO when it comes to a disaster planning. And the citizens of Japan are required to feel "safe". because they were not supposed to happen because accidents in which the Containment Vessels may be damaged were not supposed to happen and the Agency didn't even plan for such accidents. What may be the common sense among the general population is not at all common sense among politicians and bureaucrats: that Japan is prone to big earthquakes which could trigger big tsunamis (as it did on March 11), and it may not be a good idea to have an aging nuke plant right by the ocean facing the deep, subduction zone called the Japan Trench. It was revealed by METI's Nuclear and Industrial Safety Agency on April 8 evening that the hydrogen explosions that took place in the Reactor 1 and the Reactor 3 of TEPCO's Fukushima I Nuclear Power Plant were not what the Agency had anticipated. Hydrogen gas is generated when the water level within the Reactor Pressure Vessel goes down, exposing the nuclear fuel rods which then heat up. However, according to the Agency, [the Agency didn't think there would be hydrogen explosions because] the Reactor Containment Vessels which surrounds the RPVs are normally filled with nitrogen gas and there is hardly any oxygen. However, the explosions occurred in the Reactor 1 on March 12, and in the Reactor 3 on March 14, in the Reactor buildings that house the Containment Vessels. The Agency admitted, "By design, the hydrogen gas is not supposed to leak from the Containment Vessel. In the national safety evaluation, no design specs are called for to deal with a leak should the leak happen." In other words, according to the Agency, there will be no leak because they are not supposed to leak, end of story. If they leak, well it is not the Agency's problem. 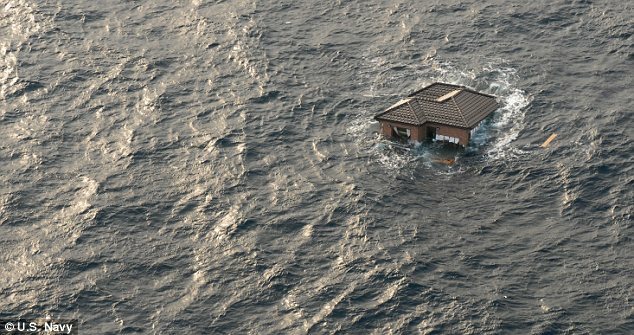 Earthquake, tsunami, so what? As long as it is not on their books that Containment Vessels may leak, they won't leak. What else they didn't plan for? That the pipes may be leaky? That the power will go out for an extended period of time? That concrete trenches may crack? That Spent Fuel Pools may lose water? That the radiation monitoring systems stop working without power? That tsunami sweeps away dosimeters (and possibly anti-radiation suits)? That people may become upset if the contaminated water is released without notice and consultation? This Yomiuri reporting itself is not entirely accurate. The hydrogen explosions occurred in the Reactors 1 and 3, AND the Reactor 4, except in the case of the Reactor 4 it happened in the Spent Fuel Pool. Look at any photo of the Reactor 4 after March 15, and consider the fact that there was no fuel in the Reactor Pressure Vessel (RPV) of the Reactor 4. Yet the top of the building blew out. Where did the hydrogen come from, that blew out the building? The Spent Fuel Pool. How was the hydrogen created? The only way would be for the water in the Spent Fuel Pool was spilled or the the Pool was cracked and water escaped (that's what AREVA suspects), and the fuel rods in the Pool were exposed enough for the zirconium cladding to burst and/or melt. 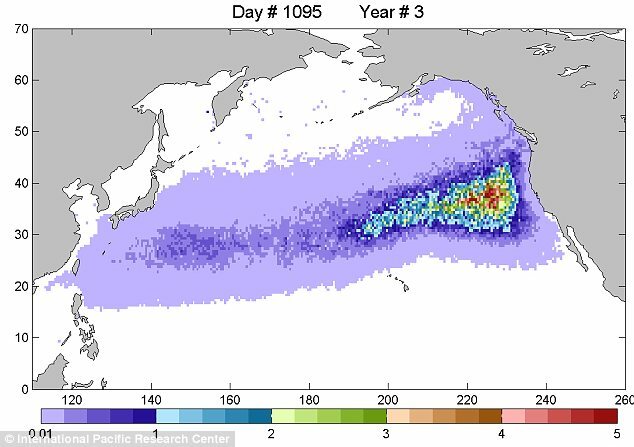 On April 3, a fearless Japanese duo drove inside the 30-kilometer radius "stay indoors" zone, then the 20-kilometer radius evacuation zone, all the way up to 1.5 kilometers from the Fukushima I Nuclear Power Plant with two pocket dosimeters - one to measure alpha, beta, and gamma rays, the other to measure the gamma rays. On the way, a totally deserted landscape with occasional cars and trucks with people with full protection suits, a pack of dogs (they fed one bulldog with a sausage), a pack of cows, overgrown vegetables, tilted telephone poles and broken signals and broken roads (houses withstood the quake/tsunami pretty well), while all the time the dosimeters are beeping, sometimes frantically. No one there to stop them. No roadblocks. The video was at Zero Hedge, made by Videonews.com, a Japanese Internet-only news station. The site runs on monthly subscriptions from the subscribers, but they are making this video available for free. This has to be the first-ever look into the evacuation zone by any media. As the Japanese government is extremely keen on suppressing information that doesn't fit their (and their pet scholars and researchers') narrative that "everything is fine, everything is safe, everything is under control", I wonder how long it will take for the police to show up at the houses of these reporters and the site taken down. I guess they can just say "100 micro-sievert/hr is totally safe, nothing to worry about." 94.2 (you hear one of them saying "no sh-t..."), 106, 108, 109, 112 micro-sievert/hr when they finally saw the plant in 1.5 kilometer distance. The Japanese government says it needs money to spend on the "recovery" from the earthquake/tsunami of March 11. Well, part of that money has been found, and will be spent without consent from the stakeholders: 2.5 trillion yen (29.4 billion dollars) out of the public pension. The ruling party politicians are squabbling over which pet projects need to be cut in order to fund the remaining 0.5 trillion yen (less than US$6 billion), but the bulk of the funding seems now secured. It's just very easy to take money away from the party with no clout - the general public, and it is the same in Japan as well as in the US. The government plans to craft an extra budget of more than 3 trillion yen by mid-April, without relying on bond issuance, to finance measures to help reconstruct Japan following last month's deadly earthquake and tsunami, a blueprint for the budget showed Tuesday. Around 2.5 trillion yen for the first extra budget for fiscal 2011 will come from funds initially secured to enable the government to maintain the level of the state's contribution to basic pensions at 50 percent, according to the blueprint, a copy of which was obtained by Kyodo News. The rest will be generated by scrapping some of the Democratic Party of Japan-led government's key policies under the initial budget for the year starting April, such as increasing monthly child allowances and introducing more toll-free highways, the draft said. The government had considered drawing up a first extra budget of not more than 3 trillion yen, but it is now seeking to spend slightly over 3 trillion yen, it showed. However, the government will face a difficult process in working out the current plan, partly because some DPJ lawmakers remain opposed to scrapping some of the major policies. The extra budget will mainly finance the costs of clearing rubble and building temporary housing, restoring public facilities and infrastructure, and creating jobs, the paper showed. The government will try to submit the first supplementary budget to the Diet before the so-called Golden Week holidays begin April 29. The emergency spending will most likely be followed by second and third batches, and total expenditures could top 10 trillion yen, according to DPJ lawmakers. 10 trillion yen (US$118 billion)? Who are they kidding? That's about how much they spent for the recovery after the Kobe earthquake in 1995. Japan's GDP is about 430 trillion yen (US$5.07 trillion). Do they think they can get away with spending only 2.3% of GDP to recover from the biggest, on-going (remember Fukushima I Nuke Plant?) disaster? It is my personal opinion that Japan will end up spending 10 to 20% of GDP. In other words, up to $1 trillion, or 85 trillion yen. Probably not in a single year, but over the next few years total. Kyodo's article says that the pension benefits won't be affected, but that what a government, any government, will say in the beginning. According to Asahi, Minister of Health, Labor and Welfare Ritsuo Hosokawa has already admitted the possibility that the future benefits may be decreased if the government cannot find the alternative funding for the pension contribution. Japan is sitting on the pile of over $800 billion of US Treasury notes and bonds. It is also a sovereign nation with its own currency. Haven't they learned yet from Ben Blackhawk Helicopter Bernanke? The government and Bank of Japan have always wanted to create inflation for the past 20 years, and these days even the citizens are thoroughly conversant with the Keynesian thinking of "deflation is bad, inflation is good". Here's your chance on the printing machine. I would personally use that pile of US Treasuries first before digital printing of yen to delay the onset of high inflation. At this point in time, it doesn't seem remotely possible for the Japanese to not rely on the government at all levels, even if that reliance wasn't justified, as well evidenced in the past 4 weeks. So there's little point in even suggesting a libertarian, capitalistic way to recovery. Too bad the Japanese people haven't been too keen on buying gold and silver. They should have learned from Chinese, Indonesians, Indians, and other wise Asians who have been buying gold to preserve their wealth. The late-night Magnitude 7.4 aftershock off the coast of Miyagi Prefecture may have damaged the submarine power cable that transmits electric power from Hokkaido Electric Power Company to Honshu (Japan's main island), according to Yomiuri Shinbun (11:12AM JST 4/8/2011). The cable spans 43 kilometers under the Tsugaru Strait, 300 meters from the surface of the ocean. The cable is 14 centimeters in diameter, and it has a capacity of 600,000 kilowatts. Hokkaido Electric Power Company has been sending power through this cable facility to Honshu since the March 11 earthquake. Asahi Shinbun says it's not the cable but it is the problem at the transformer facility in Aomori. Over 3 million households in Tohoku are still without power due to the aftershock on April 7. Asahi Shinbun (4/6/2011) reported on a ceremony to welcome new pupils at 4 elementary schools in Iwaki City in Fukushima Prefecture. The children were to be enrolled in 4 elementary schools near the coast that were damaged in the earthquake/tsunami. So they had a ceremony in Iwaki City's Culture Center by bus from their emergency shelters. Headline: "Nothing to Worry About. Welcome Ceremony in Iwaki City for 4 Elementary Schools"
The title is quoting a 6-grader who offered the words of welcome to the little kiddies. The article shows pictures of little boys and girls wearing masks to protect against radioactive materials in the air, with parents who also wear masks. Nothing to worry about?? Really. Here's Iwaki City's radiation level on April 6. Between 0.41 to 0.55 micro-sievert/hr, as measured at the Iwaki City Hall Complex. The City Hall Complex is about 400 meters away from the Culture Cente r.
In a nuclear plant, areas that measures more than 0.6 micro-sievert/hr are designated as "nuclear control zone", and you have to post a sticker like this. There were public schools and kindergartens in the high radiation areas in Tohoku and Kanto that wanted to postpone the ceremony or cancel altogether for the safety of small children. "Nothing to worry about, kids." Now I remember the worst case of mercury poisoning in Japan happened in Kyushu (Minamata); for a very long time, the residents of Minamata were told it was absolutely safe to eat fish caught in the bay polluted with mercury, and that mercury was good for them. So it is nothing new in Japan. Sadly. #Radiation in Japan: "It's Safe" Governments Say, But Is It? So Here's two examples, Yokohama City in Kanagawa Prefecture, and Iitate Village in Fukushima Prefecture. That's the only measuring spot for the entire Yokohama City done by the Yokohama municipal government. It could be under-measuring (by avoiding surface reflection) or over-measuring, but one thing is for sure: top of the 5-story building is not where most residents of Yokohama live and work. Their latest result (April 7): 40 nGy/hr, which equals 0.032 micro-sievert/hr if it is only about external radiation exposure. nGry and micro-sievert are considered more or less equal otherwise. Yokohama's data measures only the external exposure through air, while the internal exposure (through breathing and eating food) is much greater in Kanto according to Prof. Takeda of Chubu University. At least Yokahama City government doesn't say on their webpage that "it is safe". What: The page doesn't say. I assume it is measuring gamma rays. 4,240.8 micro-sievert/month x 12 months = 50,889.6 micro-sievert/year, or 50.89 milli-sievert/year. The radiation dose of one X-ray is 600 micro-sievert. The highest measured today was in Iitate Village, but the number for Iitate Village is well below the X-ray dose level and considered safe. Here you go. It's safe. In Iitate Village, the radiation was much, much higher from March 15 (after the Reactors 3 and 4 had explosions). The highest was 44.70 micro-sievert/hr at 6:20PM JST on March 15, and was above 10 micro-sievert/hr until March 26. (You can see it for yourself in this; It's in Japanese, but the 3rd column after the time column is Iitate Village) If the average was 20 micro-sievert/hr, in 10 days or so, the cumulative radiation may have been 5.28 milli-sievert, in 10 days. That's more than 8 X-rays, without protection, without consent. The safety limit for radiation exposure in Japan is still 1 milli-sievert for ordinary people. The radiation control zone in a nuclear facility is so designated where the radiation is more than 0.6 micro-sievert/hour. Ah minor details. The Japanese government seems set to raise the safety limit to 20 milli-sievert/year from the current 1 milli-sievert/year. In other words, every man, woman, child, baby is now a nuclear plant worker, like it or not. And God only knows for how long. It looks this plant has been built by shaving off the tops of the mountains. The Rokkasho Reprocessing Plant (六ヶ所村核燃料再処理施設, Rokkasho Kakunenryō Saishori Shisetsu?) is a nuclear reprocessing plant with an annual capacity of 800 tons of uranium or 8 tons of plutonium, owned by Japan Nuclear Fuel Limited located in the village of Rokkasho in northeast Aomori Prefecture, Japan approximately 17 miles (27 kilometers) north of the US Air Force's Misawa Air Base. Since 1993 there has been US$ 20 billion invested in the project, nearly triple the original cost estimate. It is currently[when?] undergoing test operations, separating a small amount of used nuclear fuel. It is the successor to a smaller reprocessing plant located in Tōkai, Ibaraki. After the Tōhoku earthquake in March 2011, the plant ran on emergency power provided by backup diesel generators. The emergency generators were not intended for long-term use. Reportedly there are about 3,000 tons of highly radioactive used nuclear fuel stored in Rokkasho at current, that could overheat and catch fire if the cooling systems fail. The plant has been running a "active test run" since March 31 of 2006. The test run was supposed to be over by January of 2009, but it still continues. The plant has been besieged with various accidents ever since it started the "active test run". There is a very strong opposition against this particular plant. Greenpeace Japan (link is in Japanese) has said that the radioactive materials that would be released from the plant in one day is equivalent of the radioactive materials that would be released from a nuclear plant in one year. Meanwhile, we received 93 tons of spent fuel in the current fiscal year, and 3,258 tons of spent fuel in total are stored up now. and 13,272 spent fuel rods, according to their Japanese website. A little bit more from Japan's Nuclear and Industrial Safety Agency. Rokkasho Reprocessing Plant [in Aomori] is out of external power, is currently operating on a emergency diesel power generator. In Onagawa Power Plant [in Miyagi], two of the three reactors are out of power, and currently operating on emergency diesel generators. [The reactor No.1 has only one diesel generator working, by the way. (link Japanese)] The cooling systems for the Spent Fuel Pools temporarily stopped, but now are operating. Fukushima I, II Nuclear Power Plants, and Tokai II Power Plant have not suffered any power outages, no abnormal radiation has been detected. In addition, 5 of the 6 thermal power plants in Tohoku have shut down due to this strong aftershock. Japan Meteorological Agency (JMA) says it was Magnitude 7.4, and 40 kilometers (24.8 miles) in depth. The USGS says M.7.1 and 49 kilometers (30.4 miles) in depth. It was right off the coast of Sendai. Tsunami warning (Miyagi Prefecture)/advisories (Aomori, Iwate, Fukushima, Ibaragi Prefectures) were issued, but they've been all canceled. 2-meter tsunami "may have already hit" Sendai, according to Yomiuri. The power is out in entire Aomori, Akita, Iwate Prefectures, in almost all Yamagata Prefecture, a good portion of Miyagi Prefecture. External power has gone out. The Plant (1 reactor, BWR) is operating on an emergency power supply for the reactor and the Spent Fuel Pool. The Plant is operatng on an emergency power supply. External power has gone out on 2 of the 3 reactors. The plant has been shut down after the March 11 earthquake, and is considered stable. That's the sense I get by reading the statements by the government officials in the past few days, and the change in the evacuation policy may be finally coming sometime next week. More than a week after the International Atomic Energy Agency (IAEA) recommended the expansion of the evacuation zone beyond 20-kilometer radius and the Japanese government brushed it aside by saying "we will give due consideration", "IAEA guideline is but only one of the parameters" and "we hope we can decide in time", and after Iitate Village finally decided, on its own without waiting for the government "guidance", to evacuate women and children to a safer location, the national government is saying it may be amenable to re-consider the evacuation zone setting. And tens of thousands of people in the affected area have had to be exposed to additional radiation while the government fiddles their usual tune of bureaucratic face-saving. The Kan Administration has entered the final stage of making the decision on re-designating the current evacuation zone within the 20-kilometer radius from the Fukushima I Nuclear Power Plant into a much stricter "warning zone" [the residents cannot enter] but allowing the residents to return to their homes temporarily. The temporary return will be only for few hours, and the residents will be accompanied by the police or the public workers. The final decision will be made around April 11, one month "anniversary" of the earthquake. Regarding the temporary return of the residents to their homes, Chief Cabinet Secretary Yukio Edano said in the press conference on April 7 morning that the government "has been receiving the requests to return home to get the valuables and the necessities, and we're considering these requests." He also said that the temporary return will not be for long, and it is to get the necessary minimum from their homes." In the area within the 20-kilometer radius, the evacuation order has been issued under 原子力災害対策特別措置法 (nuclear disaster special measures). However, the residents keep going back home, and the Fukushima Prefectural government has asked the national government for a tighter restriction. During the April 7 press conference, Edano said the government is debating whether to designate a "warning zone". The likely outcome is that the current evacuation zone will be re-designated as a "warning zone" under the Nuclear Disaster Special Measures, which means the residents are prohibited from entering the area, and the residents will be allowed to return home only temporarily as an exception. Also, the government is considering re-designating the "stay indoors" zone between 20 to 30-kilometer radius to the "evacuation" zone after they create a new standard [for evacuation] based on the cumulative radiation level. Well how about that? Isn't that pretty much what the so-called "critics" have been saying all along, to use the cumulative radiation level as a basis for decision? But the Kan Administration is learning the art of "spin" very fast. (That's gotta be the help that the Obama White House has been sending to Japan.) The administration emphasizes the fact that it may be allowing the residents to go home - great news! Never mind that it will be only for few hours, and never mind that after that the residents can never go back again. At this point, things may be too radioactive for the residents to take. And the government has been saying all along, "it is safe". Here comes the Ministry of Truth. Or precursor of it. Because for now, it's the big media doing it under the guidance from the government. Yomiuri Shinbun (in Japanese; 12:26PM JST 4/7/2011) is indignant that the foreign tabloid newspapers like UK's Sun, Daily Mail (which by the way has just spectacular photos of the earthquake/tsunami/nuke accident), and Germany's Bild are exaggerating the danger of radiation from Fukushima I Nuclear Power Plant beyond the "reality", and fanning the fear among their readers. People did escape Tokyo in numbers, particularly foreign workers who live and work in Tokyo at that early stage in the crisis. Daily Mail's assessment that Japan's nuclear crisis is uncontrollable seems just about right. You can't blame Bild for asking whether Japan is going to pollute the entire Pacific Ocean when a private company was allowed to dump the contaminated water with only a nod from its regulatory agency, and the government really doesn't have a plan on what to do with the highly contaminated water, 60,000 tons and increasing daily. Japanese people over 80 years old would know exactly what their government is doing. It is a déjà vu for them. It happened before and during the World War II, when losing was portrayed as winning. Just like the US government has been doing, not just on its endless wars in Iraq and Afghanistan (Lybia, Ivory Coast joining, maybe). Oh look, economy is improving, because the stock market is rising! Don't worry we have GE's Immelt (who has exported so many jobs abroad) to run the commission for jobs and competitiveness! Everything will be alright as long as we save our Wall Street Banks so that they can continue to pick your pockets, or we have to declare a martial law! Never waste a good crisis, and the Japanese government is simply doing just that. Too bad the crisis had to be this big. #Fukushima I Nuke Plant: Kyoto University Researcher "Reactor 1 May Be Undergoing "Recriticality"
I posted this on my Japanese blog for the Japanese readers. I'm putting out the summary for the English readers here, too. A nuclear researcher at Kyoto University (which is considered one of the two most prestigious national universities, the other one being Tokyo University) has reversed his opinion and now says the Reactor 1 may be experiencing the "recriticality". His name is Hiroaki Koide, assistant professor at Kyoto University's Research Reactor Institute who belongs to the Nuclear Safety Research Group at the Research Reactor Institute. He has given interviews on TV and radio, mostly in Kansai stations and not aired in Kanto (where Tokyo is), and would be considered one of the "sceptics" of the official story about Fukushima I Nuke Plant that everything is safe, getting under control. There ARE researchers in Japan who go against the mainstream government scholars. Koide is one of them (and far from being the most critical), and there are others from universities other than the top few schools (and therefore they don't get hardly any airtime on the Japanese MSM). But thanks to talk radio shows and the Internet (hey it's the same as in the US), at least a small portion of the Japanese people are getting the "alternative" reality other than what's given by the government and the MSM. "The Fukushima I Nuke Plant accident is not winding down at all. I think I have to revise my opinion which was too optimistic." - What was too optimistic? "We thought the reactors "cold stopped", which means the uranium fission stopped. But now I've started to think the fission has started again. In other words, the reactor has become "critical" again - which we call "recriticality"." - Professor Koide, you were of the opinion that the recriticality was not happening. "Yes, and I've changed my mind. It may be happening." "First, the level of iodine[-131] is not decreasing; it is increasing. Iodine[-131]'s half life is 8 days. It has been more than 3 weeks since the accident, so the level of iodine[-131] should be about 1/10 of the initial level measured. Second, the presence of chlorine-38 was detected from the contaminated water in the turbine building [he doesn't say which one]." "Well, if chlorine-38 was detected [according to TEPCO], and that can only mean "recriticality". Chlorine-37 is a stable isotope, and it exists in salt in the sea water. TEPCO had poured literally tons and tons of sea water into the Reactor Pressure Vessels at Fukushima. The way the stable chlorine-37 becomes highly unstable chlorine-38 (half-life 37 minutes) is for chlorine-37 to acquire neutron. The only way for neutron to be present near chlorine-37 is for uranium to go critical and emit neutron. That's what Fairewinds Associates' Arnie Gunderson said in his April 3 video, and that's probably why IAEA mentioned the possibility of "recriticality" on March 30. Koide thinks the recriticality may be happening in the Reactor 1 where the fuel rods may have been melted down most (Koide thinks there is no cladding left, and the tiny uranium pellets are forming a heap at the bottom of the RPV), but says the other two reactors (2 and 3) are also vulnerable if TEPCO cannot cool them sufficiently and the core melt continues. He also suspects TEPCO is not pouring enough boron to prevent fission. Maybe that's another item at Fukushima I that's missing: boron. It took almost 3 weeks for TEPCO to admit they didn't have enough dosimeters for the workers. Don't hold your breath for a TEPCO's announcement that they are out of boron. Maybe they can dump bath salt in the pressure vessels and that may stop the fission. And remember, repeat the mantra of the Japanese government: it is safe. #Fukushima I Nuke Plant: Reactor 2 Core "Did It, or Didn't It" Melt? Two different narratives (I'm using the word sarcastically) coming from the supposedly the same source. US Representative Edward Markey says the Reactor 2 at Fukushima I Nuke Plant had the total core meltdown and the "corium" had escaped the Reactor Pressure Vessel. NRC's Martin Virgilio says NRC doesn't know for sure. WASHINGTON (Reuters) - A top official from the U.S. Nuclear Regulatory Commission said on Wednesday it was not clear that Japan's Fukushima No. 2 nuclear reactor has melted through the reactor pressure vessel. Dear Roberta and Ayesha, "the nuclear reactor" does not melt through "the reactor pressure vessel". That would be an awesome sight, the entire reactor collapsing into the reactor pressure vessel, but sorry, no. It is a molten mess of nuclear fuel pellets and cladding and control rods and whatever inside the pressure vessel that melted, "corium", that may or may not have breached the pressure vessel and dropped inside the containment vessel which surrounds the pressure vessel. The containment vessel is still housed in the reactor building in the case of the Reactor 2, which for now acts as the final "containment" device. And what's the refrain we all should repeat out loud? "It's safe!" Plutonium-238, -239, and -240 were detected from the soil samples taken from 2 locations in Fukushima I Nuclear Power Plant. The samples from the other two locations didn't contain plutonium. The results are summarized in the separate attachment No.1 (in Japanese). Also, radioactive materials were found from the soil samples from 8 locations (5 from the March 21, 22 sampling and 4 from March 25, 28 sampling, with one location overlapping), and the results are summarized in the separate attachment No.2 (in Japanese). In the attachment No.1, the first left column is the locations where the samples were taken, and the distance in parenthesis indicates the direction and distance (in meters) from the vent stack for the Reactors 1 and 2. In the attachment No.2, the top row is the sample locations. When it says 西北西, that's "west by northwest". It doesn't look pretty on April 7. The only place that's safe from the plume seems to be the northern half of Hokkaido. Everywhere else, even Okinawa may be covered, though very low level. South Korea and part of North Korea may be covered. Their forecast is here (in German). The New York Times article is based on the leaked confidential assessment by the US Nuclear Regulatory Commission. Too much water in Containment Vessels could rupture the Vessels in a strong aftershock. The 1st explains why the temperature of the RPV of the Reactor 1 has not come down below 200 degrees Celsius, despite cooling with sea water and now with fresh water. OK, people who want to scream at NY Times for fear-mongering, come out and scream! NY Times says the NRC assessment seems to have been based mostly on the information shared with them by the Japanese government and TEPCO. Among other problems, the document raises new questions about whether pouring water on nuclear fuel in the absence of functioning cooling systems can be sustained indefinitely. Experts have said the Japanese need to continue to keep the fuel cool for many months until the plant can be stabilized, but there is growing awareness that the risks of pumping water on the fuel present a whole new category of challenges that the nuclear industry is only beginning to comprehend. The assessment provides graphic new detail on the conditions of the damaged cores in reactors 1, 2 and 3. Because slumping fuel and salt from seawater that had been used as a coolant is probably blocking circulation pathways, the water flow in No. 1 “is severely restricted and likely blocked.” Inside the core itself, “there is likely no water level,” the assessment says, adding that as a result, “it is difficult to determine how much cooling is getting to the fuel.” Similar problems exist in No. 2 and No. 3, although the blockage is probably less severe, the assessment says. Experts in nuclear plant design say that this warning refers to the enormous stress put on the containment structures by the rising water. The more water in the structures, the more easily a large aftershock could rupture one of them. to prevent a hydrogen explosion. Also read the New York Times article on the latest US assessment of the Fukushima Plant situation. TEPCO announced on April 6 that there is a possibility of a hydrogen explosion in the Containment Vessel of the Reactor 1 at Fukushima I Nuclear Power Plant, and TEPCO will start injecting the inert nitrogen gas into the Containment Vessel as early as this evening. According to TEPCO, both the pressure and the temperature within the reactor [Reactor Pressure Vessel] remain high, the partial exposure of the fuel rods continues, and zirconium in the cladding and the steam are reacting to create more hydrogen. As hydrogen also accumulates in the Containment Vessel as some of it escapes from the RPV, it could react with oxygen and cause an explosion. The purpose of injecting nitrogen gas is to dilute hydrogen to avoid an explosion. According to TEPCO, about 6000 cubic meters of nitrogen will be injected over the next few days. TEPCO will also prepare for nitrogen injection in the Reactors 2 and 3. TEPCO's little-noticed press release on April 1, 2011 shows the Reactors 2, 3, and 5 at Fukushima I Nuke Plant were shaken horizontally (east-west) beyond their maximum design specs. The recording time was 130 to 150 seconds, while the earthquake lasted full 3 minutes. Gal is measured in centimeter/second squared, and it measures the ground motion acceleration. Fore more on the topic, here's a paper from World Nuclear Association. #Fukushima I Nuke Plant: More on the "Pit That Stopped Leaking"
Here's the picture released by TEPCO, with the statement that the leak from the "crack" stopped at 5:38AM on April 6. Does this look like a "crack" to you? This is another minor detail that's been bothering me (the other one being "above 1,000 milli-sievert" radiation level). It still looks awfully round. It still looks like a regular drain from the substrate, and I suspect there was a drain hole on the floor of the pit above to drain accidental water in the pit through the substrate (and that's why there was a dirty pool of water in the pit, as the contaminated water coming from the substrate flooding the pit through the drain). Just my conjecture. No proof. #Fukushima I Nuke Plant: Radiation Level of "1,000 Milli-Sieverts and Over" - Exactly How Much Over? One minor detail is bothering me. Does anyone know whether there's a portable dosimeter that can measure beyond 1,000 milli-sievert? What's been bothering me about the high radiation at Fukushima I Nuclear Power Plant is that the government (NISA) or TEPCO simply says "the radiation at such and such place was above 1,000 milli-sieverts." Above 1,000 milli-sievert BY HOW MUCH? I've seen an occasional slip or two where the newspapers report that TEPCO/NISA didn't really know how radioactive it was (whether it's air inside the Reactor 2 building or the water from the pit by the ocean), because the needle of the dosimeter immediately swung to the max (1,000 milli-sievert). And that was precisely the case with the pit water. TEPCO made a worker measure the radiation about 1.2 to 1.4 meters from the surface of the pit water, and the worker couldn't measure it because the needle of the dosimeter immediately swung to the max. So they announced it was "over 1,000 milli-sievert/hour". OK. So the water is going elsewhere. It's getting to be like "Whack a Mole". One hole seemingly plugged, and water spews out somewhere else. However, if any Fukushima I Nuke Plant news was reported in Japan in the past few days, it was either about this hole that was spewing radioactive water, or the dumping of contaminated water into the ocean. Wag the Dog. The real deal is their sheer inability and impossibility to cool the Reactors on a permanent basis because of way too much radiation in the reactor buildings and turbine buildings. Sure they can use the temporary pumps hooked up to the external power, or concrete pumps to sprinkle water to the Spent Fuel Pools, but these operations simply generate more highly contaminated water. Unless you get the pumps up and running, they are nowhere near "the stable" condition. What a better way to hide that fact, than to let people (particularly the so-called journalists) focus on a crack in the pit? Isn't there any Japanese reporter who can ask the most fundamental question? "What is your plan?" Not the piecemeal cutesy little silly "solutions" (like bath salt and sawdust) to plug a figurative hole in the bigger mess all around them, but a systematic, fleshed-out plan for the bigger mess itself. It's been almost 26 days since the earthquake/tsunami that knocked out the plant. Sure they have a plan by now, don't you think? The contaminated water with high concentration of radioactive materials flowing into the ocean near the water intake of the Reactor 2 in Tokyo Electric Power Fukushima I Nuclear Power Plant had stopped, as of April 6 morning. TEPCO confirmed [that the flow had stopped] at 5:30AM, and announced. The Japanese Government's Handling of Dumping Contaminated Water: "Ugly, Ugly Japanese"
I am really ashamed to be Japanese. South Koreans are upset, so are the Russians, over TEPCO dumping contaminated water, no matter they say it's safe. They are upset, partly because Japan didn't bother to notify them. Did Japan notify them, or didn't? Chief Cabinet Secretary Edano said his government most assuredly did, but qualified it by saying since it involved multiple countries his government had notified the IAEA [so that the IAEA would in turn notified the countries involved]. That Edano's bureaucratic position was confirmed by Minister of Foreign Affairs Takeaki Matsumoto in the press conference on April 5. Asked about South Korea and Russia's concern over the release of low radioactive water in to the ocean during the press conference on April 5, Foreign Minister Matsumoto said that there was "no significant effect on health, and not a problem with Japan's obligation under the international treaty". Matsumoto clarified the government position that there was nothing wrong or amiss in the Japanese government's handling, emphasizing that "the Japanese government notified the International Atomic Energy Agency (IAEA), explained to the diplomatic corps, and sent [them] faxes [to notify and explain?]" The United Nations Convention on the Law of the Sea requires [the signatories] protect the marine environment from pollution, and notify the countries who would be affected by the pollution. Chief Cabinet Secretary Edano said in the press conference on April 5 that "Japan has a general obligation (under the treaty), but [dumping the contaminated water in the ocean] does not immediately pose a threat of pollution to the neighboring countries. But since the countries, including the neighboring countries, have a lot of interest [in the dumping of contaminated water], we will make sure the appropriate explanation is conveyed through the diplomatic channel." What arrogance from a group of elementary school boys with wrinkles and gray hairs (or black hairs that are dyed). Both South Korea and Russia have sent (or tried to send) material and monetary assistance to the relief effort in Japan after the earthquake and tsunami. South Koreans raised a huge amount of money, sent foods and blankets to Tohoku (I'm afraid they are still sitting at the official depots undelivered to people who needed them). Russia has offered help from experts with detailed knowledge of Chernobyl reactor accident (the Japanese government delayed issuing visas for fear that the presence of Chernobyl experts might signal to the world that the Fukushima situation was dire). They are the closest neighbors of Japan. And what did the Japanese government do? It told the IAEA to notify them. Oh but we sent the fax to their embassies in Tokyo, wasn't that good enough? And we called their diplomats to the Ministry and told them about it at the same time we instructed TEPCO to tell the journalists so that they could write about it for the Japanese people later. It was apparent that TEPCO would run out of space to store contaminated water at the plant for quite some time. Instead of telling the foreign diplomats 3 hours before you would start dumping the contaminated water, you would contact them several days before April 4. Maybe a week before. You would send high level Foreign Ministry officials, yes bureaucrats but they know more about proper international protocols than you politicians, to the embassies of the countries that could possibly be affected - Russia, South Korea, China, Taiwan, for a start. These high level officials would meet the ambassadors, and explain the situation. Ask the ambassadors to immediately convey the message to their respective head of state back home. Prime Minister Kan would personally place a call to the ambassadors and then the heads of the states in these countries, asking for their understanding of the dire situation. The government would contact the IAEA at the same time, and solicit their help in convincing and placating the affected countries by making them understand the situation better. At the same time, you would tell the municipalities along the coast, up and down from the plant, that you were planning to release the contaminated water. They would naturally object, but you could have at least explained the situation to them beforehand, instead of what you did, which was to take them by total surprise after the fact. Instead, you hid behind a middle manager at TEPCO, hid behind a fax machine. And TEPCO management hid behind their middle manager, whose looks tell me (I could be wrong) he is actually an engineer in a position that requires hands-on work. If TEPCO had to announce, it should have been announced by the chairman of the company who is responsible for the company. Instead, the top management made this middle manager do it. I guess it is too late for you to grow up, so why don't you all move out and let adults handle the problems? If there is any adult left in Japan, it is assuredly not in the government at any level.